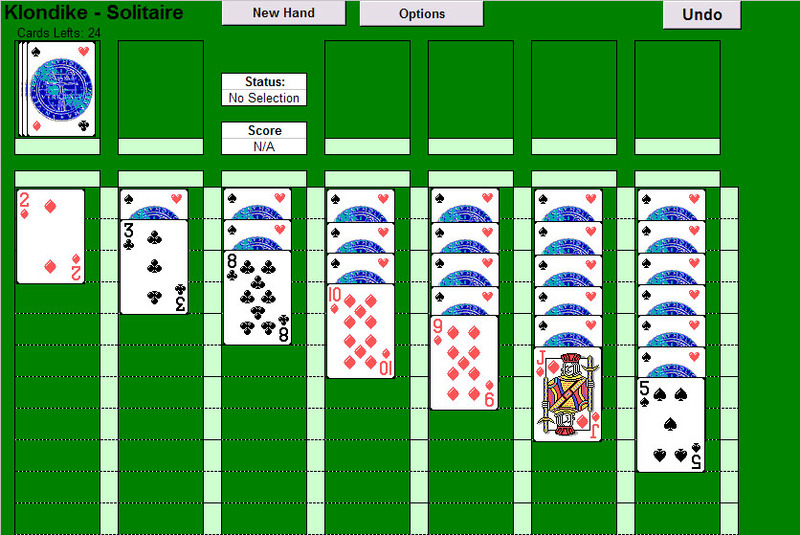 The classic Klondike version of Solitaire written for Excel. Using Excel as a development platform is an effective way to distribute small games that nearly anyone with a business computer can play. It also has the added advantage of being fairly invisible and unblockable to most regular IT departments. dzikosoft.com has a good game library and forum.